Finder manufactures step relays, timers, and other components critical for the creation of today's modern escalators. 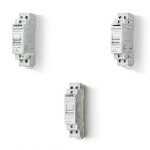 Piero Giordanino patented the step relay in 1949 in Turin, Italy. It was five years later that he officially opened as a business. 2001 saw the acquisition of Eichoff Reles in Valencia, Spain. Today it is a world wide organization with factories in dozens of countries. 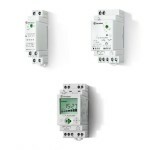 Products which Finder manufactures include automatic ladders, modular contactors, energy meters, motion detectors, dimmers, power supplies,motion detectors, relay interface relays, intervention and signaling modules, twilight switches, time switches, 50 amp solar relays, 16 amp modular ballasts, modular timers, filter fans, plug timers and programmable thermostats. 20.22.9.012.4000 202290124000 FINDER 20 Series Modular Step Relays 16 A. 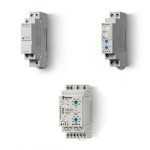 011.01 01101 FINDER 11 Series Modular Light Dependent Relays 12 16 A. 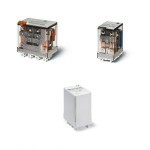 011.02 01102 FINDER 11 Series Modular Light Dependent Relays 12 16 A. 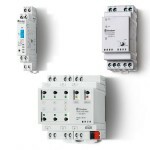 011.03 01103 FINDER 11 Series Modular Light Dependent Relays 12 16 A. 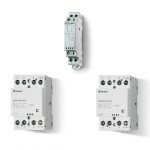 012.90 01290 FINDER 12 Series Mechanical or Electronic digital time switches 16 A. 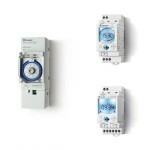 12 Series - Mechanical or Electronic digital time switches 16 A. 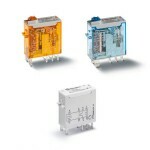 020.01 02001 FINDER 20 Series Modular Step Relays 16 A. 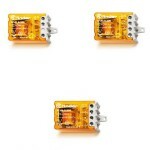 020.03 02003 FINDER 20 Series Modular Step Relays 16 A. 026.00 02600 FINDER 26 Series Step Relays 10 A. 026.90.1.2 0269012 FINDER 26 Series Step Relays 10 A. 026.90.2.4 0269024 FINDER 26 Series Step Relays 10 A. 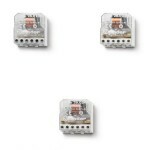 027.00 02700 FINDER 27 Series Step Relays 10 A.